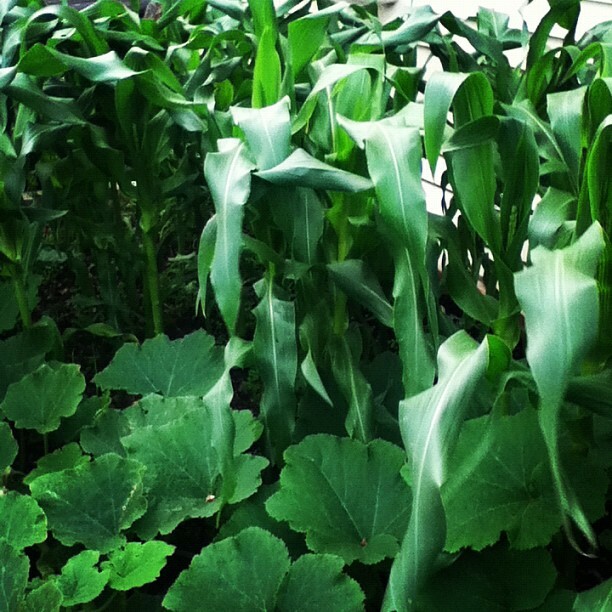 I am always walking up or down the driveway – and the corn is getting bigger or it is just starting or it is gone. There is always something I am worrying about but the focus of the worry changes but the worry doesn’t change – it is tinnitus. Brain plaque. I am always wondering why my body is the way my body is because it is a curious nearly-40 body and it walked away and left my mind behind. Something happened to time that I don’t understand. How did I get so tired? When can I lay down? I don’t want to lie down. I have too much to do. I take photographs to remind me but they don’t remind me they just open windows, or maybe valves. The corn was hard seeds dropped into holes poked into the earth with my finger and now it is nearly as tall as me and I encourage it when I walk away and greet it as I come home. I’ll eat it with a bit of butter and too much salt when the time comes, if it stays standing, if it hasn’t been plagued by bugs. Will it be tough enough corn to hold a summer? Magnus calls corn cobs ‘corn bones’. The corn bones take years to break down in the compost so we are always throwing them back, and throwing them back but If I wait long enough it will all rot down. Your corn is so high, I guess it feels perilous! Are your chickens wearing shoes yet for Magnus’s sake? “The chickens don’t wear shoes”. I think he wants their scary feet covered over! lol! Yes, Magnus only has bare feet in the bath or swimming pool – he is foot-phobic. He often asks me sweetly if I would please “chop off your feet, Mummy” has he finds them so abhorrent. I tell him I need them. A: This post is brilliant. B: Magnus says the greatest things. *Like* It’s a prose poem. Also, corn cobs are corn bones. I guess everything composts down if you give it enough time.